During the latest live feed from the International Space Station the ISS camera spotted an amazing UFO flying saucer over the horizon. The UFO is clearly visible as suddenly NASA shut down the video transmission. OK, normally after a shut down we see the following text: “Please stand by. The High Definition Earth Viewing experiment is either switching cameras, or we are experiencing a temporary loss of signal with the International Space Station." But this time NASA went straight to Blue Screen, which means they are not switching cameras, they are not experiencing a loss of signal, but NASA just cut the whole ISS Live feed transmission. However, StreetCap1 recorded the first 9 seconds before NASA abruptly cut the live stream. 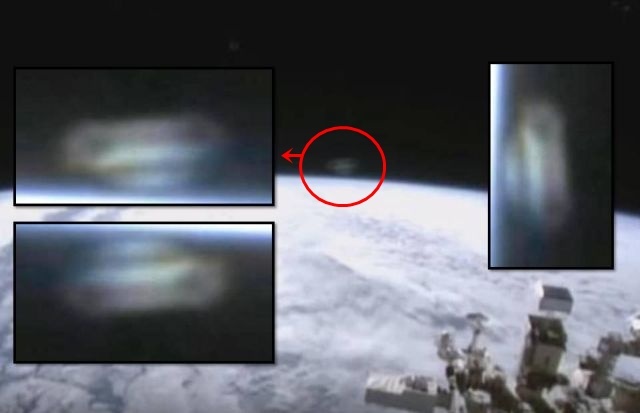 NASA’s action proves again that they hide the true about UFOs and prevent the general public from learning that aliens are visiting earth. Here is the video of the flying saucer recorded on December 8, 2015.